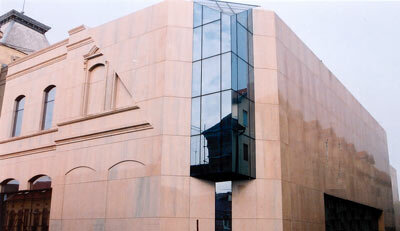 The Matica Srpska Library in its funds has more than 4,000,000 books and other publications. The Library receives the sample copy of all the publications of Serbia. The Library has 671 old manuscript books, the greatest collection of Serbian books from the 15th to the 19th century and the richest collection of Serbian periodicals from the 18th and the first half of the 19th century. The legacies and the donated libraries both of individuals and institutions are preserved as the special collections. The Library exchanges publications with 320 foreign libraries and institutions. Cataloguing and bibliography work are automated since 1989. CIP cataloging is made for all Vojvodina publications. In August 2011, the Library data base has had over 1.170.000 entries. The Library gives services in research domestic as well as foreign data bases. In its 7 reading-rooms there are 250 seats. The Library is constantly expanding its publishing and exhibit work. Restoration and conservation is done in a modern well equipped laboratory. As the central library for all University and public libraries in Vojvodina organizes expert exams for all Vojvodina libraries.